Author, researcher, and "supernatural historian" Mason Winfield studied English and Classics at Denison University, earned a master's degree in British literature at Boston College, and studied poetry and fiction at SUNY Buffalo with MacArthur grant recipient Irving Friedman. For 13 years he taught English at The Gow School (South Wales, NY). 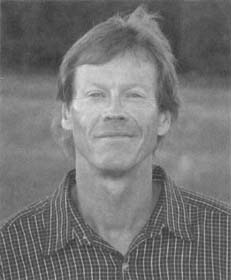 While at Gow he chaired the English department, won a 50K cross-country ski marathon, and was ranked several times among the Buffalo, NY, area's top ten tennis players. He has written five published books, including the regional sensation Shadows of the Western Door (1997). A now-and-then journalist who writes on a wide range of subjects, Mason also writes fiction. His short story "The Hunters" won the year 2000 JobsinHell/Feoamante.Com contest for Horror Fiction and received honorable mention in the year's Best Fantasy & Horror. A popular lecturer and frequent media guest, Mason designed and appeared on The Phantom Tour, a 2-hour TV program / DVD on haunted history in Western New York. He has appeared on NBC's Today Show and stars in a 2006 episode of Legend Hunters. Mason is the founder of Haunted History Ghost Walks, Inc., a company that designs and develops various forms of "haunted" tourism, including walking and carriage tours, conferences, and performances. Cultural, historic, and architectural preservation are vital issues to Mason, and Haunted History Ghost Walks, Inc., is proud to support those causes through their partnerships with cultural organizations.